JAKOB SILFVERBERG scored the first goal against the Golden Knights in Las Vegas on Monday (Flickr/Bridget Samuels). It always looked like a bad gamble for the NHL to put a franchise in Las Vegas. I mean, an ice hockey team in the desert? (We don’t count the Arizona Coyotes, who barely qualify as a major league team). And in the “gaming” capital of the world? When the Golden Knights finally landed in Lost Wages, their long short history of winning long shots continued, as they have posted – in their inaugural season – the best record in the league. All the more unlikely then, was the Anaheim Ducks’ 2-0 win over the Knights in Nevada. 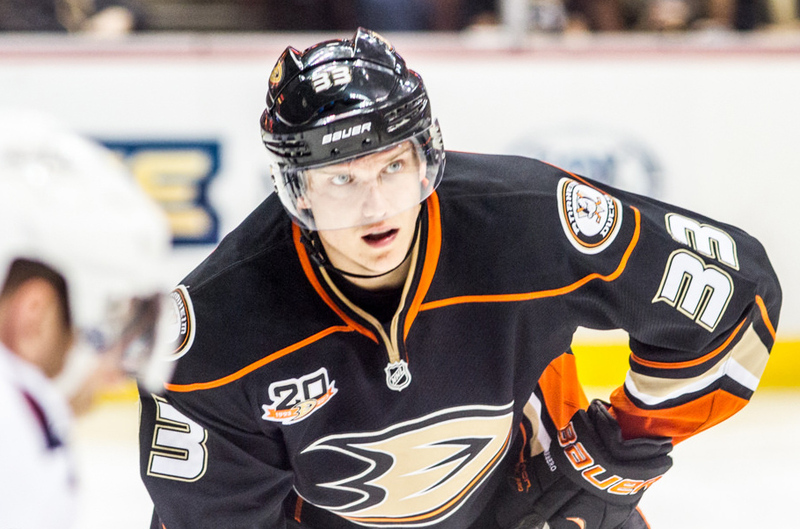 The Ducks scored once in the first period – Jakob Silfverberg – and once in the third – Josh Manson – and that was enough for the victory, which propelled them into third place in the Pacific Division with a 30-20-11 record. The top three teams in each division qualify for a Stanley Cup playoff berth. 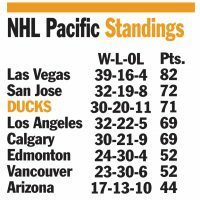 It was the Ducks’ fourth win in five road games and moved them within one point of second place San Jose. Las Vegas didn’t provide a very robust attack, with just 19 shots on goal. John Gibson had 13 saves and Ryan Miller added 20 more in goal for the Orange County team. The Ducks are in action again on Wednesday when they come home to face the Dallas Stars (34-21-4) at Honda Center in Anaheim.